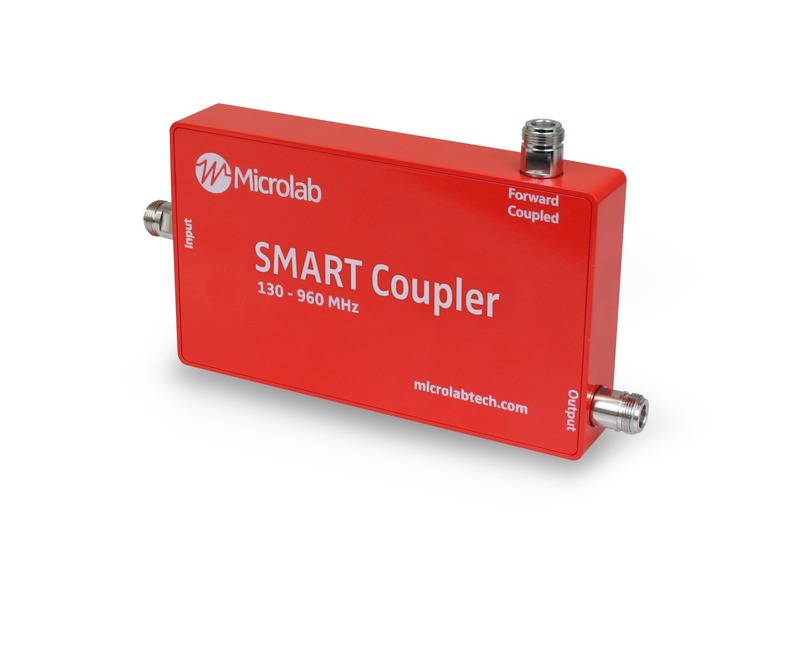 The SMART Coupler combines a specially developed broadband, 130 – 960 MHz, passive coupler with active, diagnostic technology for system monitoring with failure detection and malfunction location capabilities. The SMART (System Monitor Alarm Report Technology) Passives system is made up of a SMART Gateway at the head-end and SMART Couplers deployed in the DAS. Each coupler reports the Voltage Standing Wave Ratio (VSWR) at each port based on a calibrated CW tone generated by the gateway. By storing and comparing the VSWR at each port over time the SMART system can report failures such as an open or short circuit. The gateway then communicates the alarm via e-mail, SMS, or SNMP and pinpoints the location where the failure occurred. The real-time monitoring capabilities that the SMART Passives system provides will ensure that Public Safety DAS system integrators, Authorities Having Jurisdiction (AHJ), and building owners can depend on the operation of their critical communication systems.